When concrete is incorporated into a landscape design it’s usually referred to as “hardscaping”. Now, hardscaping doesn’t just incorporate concrete, it would be any type of hard (and unmoveable) surfaced in your landscape such as rock, brick, block or even a driveway, deck, or patio. This article is going to talk about 3 different ways to incorporate concrete into your next landscaping project. If you’d like retaining walls with a smooth and uniform surface, poured and properly finished concrete is an excellent choice. 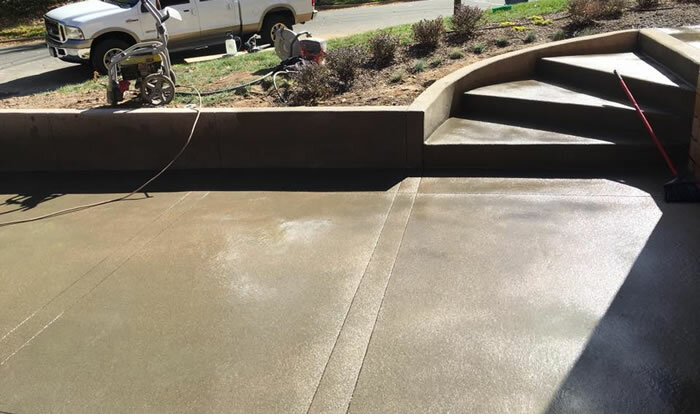 If you don’t like the boring smoothness of the bare concrete then it can be colored and even textured using different finishing techniques. Concrete retaining walls are great for lining driveways, parking areas, surrounding garden beds, holding back slopes, or creating more usable space on your property. We’ve ripped out a lot of wood decks and patios and replaced them with a much more aesthetically pleasing decorative or stamped concrete. Choosing concrete as a material for your on-grade deck or patio is a good low-maintenance choice that can last for decades and decades. Decorative stamps such as brick, wood grain, cobblestone, flagstone and more are also available to give the deck or patio a very specific luxury look without the luxury cost. The expert use of antique release agents to help separate the concrete from the concrete stamps also leaves behind a nice patina, referred to as antiquing and it dramatically improves the look of decorative concrete surfaces. If you have a plain old concrete driveway that has cracks in it, maybe it’s time for a replacement? Stamped concrete is an excellent choice for adding curb appeal to any home as it gives a luxurious look to your driveway such as cobblestone, brick or flagstone but it’s not going to carry the same cost! Stamped concrete sidewalks, steps and walkways all make for great eye-candy in any landscape design. Is Concrete More Expensive Than Traditional Stone, Block or Brick? No, it’s actually less expensive in most cases. With concrete your biggest cost is usually the labor that is required to properly prepare the area for the pour and then properly finish it, not necessarily the concrete itself. 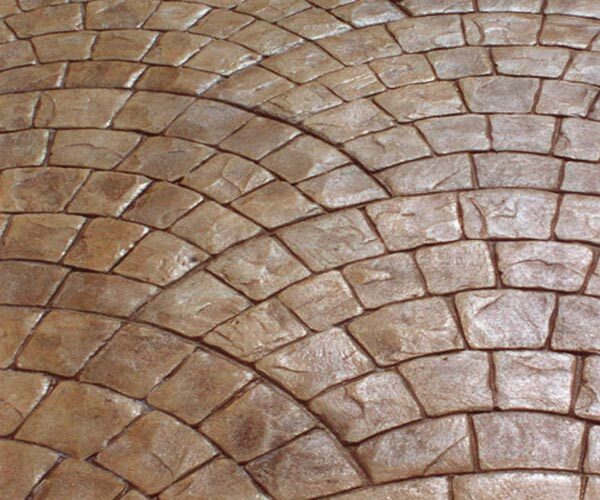 Compared to some of the building materials that stamped concrete can imitate such as cobblestone or flagstone for example, the savings to the homeowner could easily be in the thousands for a very similar look by choosing to go with a stamped or decorative concrete. When you call Quality Contracting LLC to provide an estimate for your concrete landscaping project you’ll be dealing with a small, locally owned, family run company with over 20+ years experience in concrete and hardscaping construction. Whether you’d like a new stamped concrete driveway or a new stamped concrete patio for the backyard our team of concrete specialists will be able to answer your questions and provide you with an estimate for your project. If you’d like an estimate for your next concrete landscaping project please give us a call (720) 271-1565 or fill out our contact form and we’ll get right back to you.